Playing time approximately 2 hours. Published by Fantasy Flight Games, designed by Corey Konieczka. Playing time approximately 30 minutes. Published by Z-Man Games, designed by Seiji Kanai. Playing time approximately 20 minutes. Published by Mattel, designed by Brian Yu. Just spent a nice sunny week in Lanzarote. On this occasion my Mhing box contained the following games: San Juan, Wyatt Earp, Meuterer, For Sale, Mr Jack Pocket, Die Wiege derÂ Renaissance and Haggis. We managed to play five of the seven, with a first play for Meuterer which I enjoyed as a three player but am sure four player would be better. The two that missed out were Die Wiege derÂ Renaissance and Haggis. Jan and Chris probably enjoyed For Sale the most because it’s short and they both won a game while I did appalingly in each game. Raiders of the Games Cupboard is a quarterly single day event held in Burton on Trent. It is described by Phil Bootherstone of Spirit Games asÂ a mini Beer & Pretzels, but without the beer, and concentrating on board games. The next gathering is on 19 March 2011 at the Salvation Army Citadel, Mosley Street, Burton on Trent starting atÂ 10.00 am. The cost is Â£2 and they normally expect between 30 and 50 attendees. Full details can be found here. Published by Wizards of the Coast, designed by Peter Lee, Mike Mearls & Bill Slavicsek. Published by AEG, designed by Mike Elliott & Brent Keith. Published by Days of Wonder, designed by Alan R Moon. published by Fantasy Flight Games, designed by Kevin Wilson. PlayingÂ time approximately 5-30 minutes. Published by Looney Labs, designed by Andrew Looney. Playing time approximately 90 minutes. Published by Z-Man Games, designed by Martin Wallace. Phil from Spirit Games dropped me a line to let me know about their local group. Spirit Gamers meets every Wednesday from c.7.30pm at Spirit Games, Station Street, Burton on Trent. They normally get between 8 and 16 attendees and it’s entirely casual. Two other attractions are that it’s free to attend and, apparently, there’s a good pub opposite – well, that’s a surprise for a club based in Burton. There doesn’t appear to be a club website but, if anyone wanted more information, you could get in touch with Spirit Games whose website is here. Later this yearÂ they are planning a Mini-Con whichÂ they are calling a Board Gaming Weekender (to make it sound a little more open and fun) which will be held on 3-4th September in Worthing. The details are on the Underground Gamers site here. 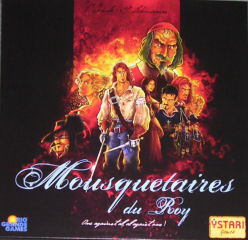 This week, there were five of us and Iâ€™d brought along Mousquetaires du Roy (The Kingâ€™s Musketeers), which is a semi-cooperative game of one player, Milady, against the rest, the Musketeers. I decided to be Milady, as I more or less knew the rules and suspected that her role was likely to be less interesting than the others. And it certainly is, as Miladyâ€™s decisions are fairly limited in terms of working out which adversaries, traps and location to choose on each turn and then watch while the Musketeers do their thing. That said, Milady is still involved in the dice-rolling combat but she has no decisions to make. I made up for the lack of decisions by ensuring that my dice-rolling was on top form, making it very hard for the musketeers. Milady never really seemed troubled and easily defeated the Musketeers in La Rochelle with them still only part way through the second quest. The general feeling was that the game was very unbalanced in favour of Milady, although this doesnâ€™t seem to be borne out by other comments on Boardgamegeek. I suspect more emphasis needed to be put on solving the quests rather than what was going on elsewhere. A lot of effort was probably wasted at the Louvre, when this could have been left until the Queenâ€™s dishonour level got to at least half way along the track. It also has to be said that Porthos (Nige) turned out to be a very poor Musketeer and seemed to spend most of the game losing duels left, right and centre. As a result of the one-sided nature of the game, the ratings suffered but Iâ€™d like to try again now that everyone has a better idea of how to approach it. SoRCon4 will take place from 2pm Friday 25th February 2011 through to 6pm on Sunday 27th February 2011. The convention will take place at the Ramada Hotel Colchester. The Hotel is located to the north of Colchester at the junction of the A12 and A120. SoRCon was born out of the hugely popular Ramsdencon, which sadly finished in 2007. SoRCon (Son of RamsdenCon) carrys on the fine tradition of friendly open games playing accompanied by various distractions which may include, but may not be limited to, a Quiz, a Charity Auction, New and Secondhand Games to Buy, Playtesting Opportunities etc. ‘Reinforcement pack’ for Summoner Wars, from Plaid Hat Games. Expansion for Call of Cthulhu Living Card Game, from Fantasy Flight Games. That said, Paul at Boardgameguru has Chocolatl, designed by Gunther Burkhardt and published by Huch & Friends coming in. Also, Nick at Shire Games expects to have a pleasant surprise for all Saboteur fans arriving this week. Had to go to Hanley today to satisfy Jan and the girls’ retail therapy cravings, so took the opportunity to pop into Shire Games, as you would expect. 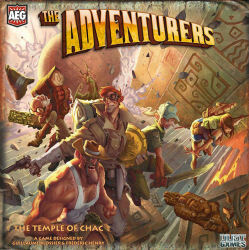 Finally decided to take the plunge and buy a copy ofÂ The Adventurers while I was there, a fun Indiana Jones style game that I played at Essen in 2009. 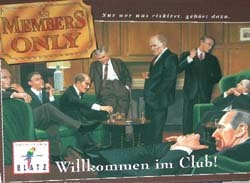 It takes up to six players, which is good news for when the games club has that awkward number. Nick also gave me two bits of news. Firstly, The Cast Are Dice games convention looks to be returning in 2011. He’s found a venue close to Stoke station and is anticipating it will be held the second or third weekend in August. Hope it doesn’t clash with when I’m on holiday like the previous events have done. And secondly, he is likely to have a pleasant surprise for fans of the Saboteur card game arriving in the shop early next week.